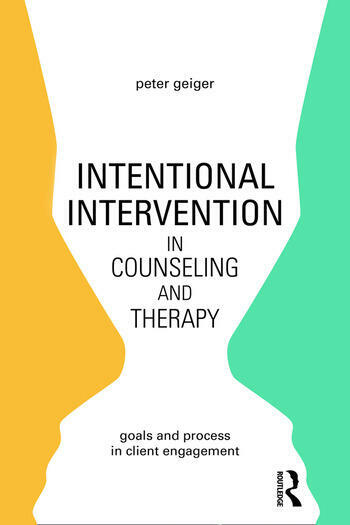 Intentional Intervention in Counseling and Therapy answers three questions: what heals in counseling and therapy and how? What actions in clinical decision making ensure an optimal outcome for the client? And why are some clinicians more successful than others, apparently remaining so over time? Incorporating citations across multiple disciplines, referencing authorities in both CBT and psychodynamic models, and interwoven with composite case material and session transcripts, this book unmasks the dialectic between goals and process in clinical work. Peter Geiger is an educator, writer, and marriage and family therapist licensed in California. Between 2006 and 2013, he taught in the counseling psychology graduate program of the University of San Francisco. Geiger advises prelicensed and licensed clinicians on case conceptualization and countertransference. He is a consultant to and fellow of the Oxford Symposium in School-Based Family Counseling.